After years of friendship, during which we had both made the mistakes in life that most of the people I find I like best seem to have similarly made, we went for a long walk. On our walk I told him I had been thinking that he should join me in a new kind of film and theatre company. By that time Adam was about to start running a vegetarian food business out of Borough Market with his lovely new wife Anna, but acting and producing had always called him away from the various other businesses and sensible jobs he had done so successfully. A week later he’d read all the stuff I’d written so far and agreed that he wanted ‘in’ on the company, which we then named Western Edge Pictures. We sat on the South Bank and decided pretty quickly that we wouldn’t make a ‘short’, as so many industry insiders in the UK feel is necessary. We wanted to go straight to a feature. “Any ideas?” he asked, as we watched the grey Thames oozing towards the sea in front of The National Theatre. One of the first things I did in writing the story was cast Adam in my head, as Bill. Adam is a good man. He cares about people and the world equally. His goodness is infectious to most people, and hilarious to me. His goodness has a bluntness. A straight, heavy, indelicate absurdity that no matter how sincerely expressed – I just can’t take it seriously. (Of course my seat in Hell is already paid for, but recognising the humour in his finest quality is at least what makes the character of Bill so watchable in Third Star I think.) You can totally see in Adam’s role, even though their views are poles apart, exactly why the other boys – indeed why we ALL – would love to have a Bill in our lives – and why I need Adam Robertson in my own. So, skip forward to pre-production. It becomes obvious that Third Star is going to be a bit ‘bigger’ than we first imagined and the producing is going to need both of us full time. Adam immediately stepped aside from acting. He didn’t NEED to be a movie star. The film was more important. But a strange thing happened. The more we auditioned guys, with Adam reading Bill for guys trying out to be James, Davy and Miles, the more obvious it became that no one – no matter how good – was going to replace him as Bill. It seems crazy now to imagine we wouldn’t have cast him. Over the coming months the cast was solidified around Adam. And he was unwittingly still providing me with dialogue for the film. A direct quote from Adam in the office that he would repeat as Bill on camera a year later. He is sensitive and passionate and for all his confidence and bombastic Alsatian pup-exuberance, arriving on set threw him a little. After all our hard work on bringing our first Western Edge picture to production, exactly as we planned to, I noticed a rare uneasiness about him in the first few days. Eventually I was able to ask him how he was doing and he admitted to being a little in awe of what we had achieved, and a little humbled by the opportunity to shoot in that location, with such a great crew, and with such a heavyweight cast. I was amazed. No one could deserve it more. No one could understand how we had got there more clearly than he and I – but where I, thrilled though I was by all of it, had begun already to be frustrated by the small scale, his humility was touching. Where so many men about to star in a film would find their ego taking over – he experienced a fleeting moment of doubt in his otherwise sure-footed stride though life. Within days of course he was well into the groove. He went up a gear in fact. There are still so many ‘Bill moments’ that make me laugh. 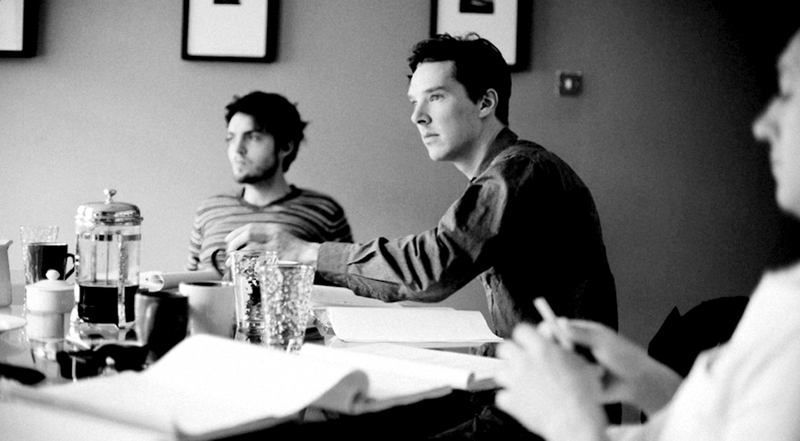 And his delivery of the line “Why can’t you take an overdose like normal people?” that he so effortlessly imbues with the innate humour and the gut wrenching tragedy simultaneously, as only great actors can, is just one example of his huge talent. Any actor will tell you that playing close to yourself is the hardest gig you’ll get. Adam had to get his version of Bill spot on and all the while receiving less care than I gave to the other cast. He triumphed. We opened the film in his native Scotland, at the Edinburgh Festival. Adam had won one of the festival’s Trailblazer awards fro exciting newcomers and was determined to enjoy the experience “to the max”. I realised, in a rare moment of warmth, that seeing that big-hearted freak on the red carpet in his kilt was pretty much all the reward I needed for the journey he and I had shared. His joy was typically unfettered, uninhibited and honest. Somewhere between an overgrown Hobbit on his way to a rave, and a young Sean Connery – as if shouldering the mantle of being the next King of Scotland would be as easy as breathing. In the course of the current roll out of THIRD STAR I’m doing lots of Q and A’s around the UK. I really like it. (I like Q’s and I like A’s – what’s not to like?) The people who come to take part are, of course, film fans and so I have something in common with them already. On top of that – talking about the journey of this film with strangers, while I’m not one for counselling, is in some way cathartic. One of the most asked questions though, is why the title or why the title had to change? For a long time the film had the title “Barafundle Bay”… anyone who’s seen the film will be able to work out why (unless they’re dumber than the leader of the RMT). If you haven’t it’s because that is the (real-life) place that Benedict’s character wants to see one last time with his best mates. It started as a working title and stuck. Film investors want to know in advance that a professional who sells films – a ‘Sales Agent’- thinks it ‘might’ make its money back. Our Sales Agent came on board very early and told me that the title had to change. This didn’t bother me too much. I had always hoped that in a very wordy film a line or phrase would leap out me. It never did. Jump ahead three years and sure enough I have spent the entire time having to spell out the title to EVERYONE who we meet, phone, cast, and employ. For some reason people take a long time to get it even though it’s phonetic. Before I know it the shoot is over, the edit is drawing to a close and I still don’t have a title. We’re rapidly approaching picture-lock, the grade and our title designer needs to know what the film is called. At this point of course there isn’t just me, hiding in my study. 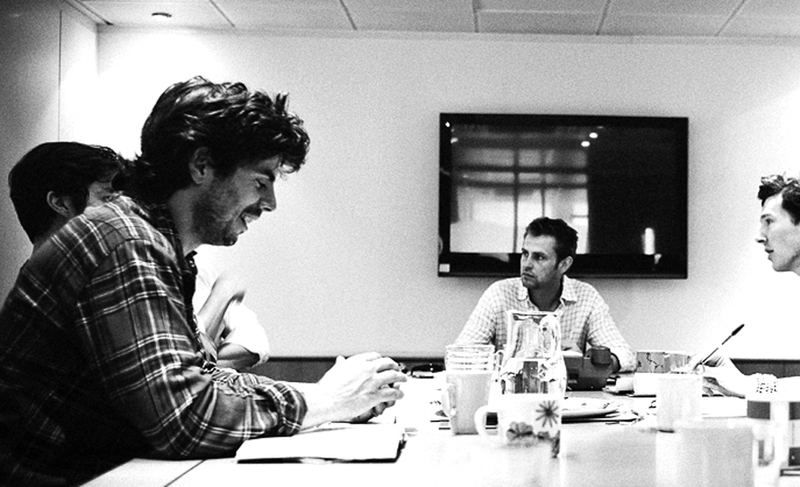 All the parties who have joined the film are giving their opinion and we are now naming the film by committee! Some of the suggestions are so bad that I am ready to take my name off the film… “Forever Loved” was an all time low. In the 1953 Disney film, Peter Pan, the word ‘star’ is added to the directions Peter speaks: ‘second star to the right, and straight on till morning.’ That phrase is widely quoted, and was used again in the 1991 movie Hook. But the less said about Hook in a film blog the better. The title THIRD STAR had arrived and was quickly signed off. The link to Peter Pan is inalienably British and subtly enforces the idea that these are Lost Boys and that in a way, James never will grow up. I liked it, but I didn’t love it. The two words in isolation made it a bit tougher and more ‘boysy’ – which was good. And the aim of a title that would travel all over the world was achieved – but it took a brilliant bit of design to bring it to life. Franki Goodwin, who designed the poster and titles, picked the perfect typeface but crucially added the simplest four pointed star as the dot of the ‘i’ and suddenly it felt like ‘our film’ again. But here’s some other stuff I found out as some nice wider reading. 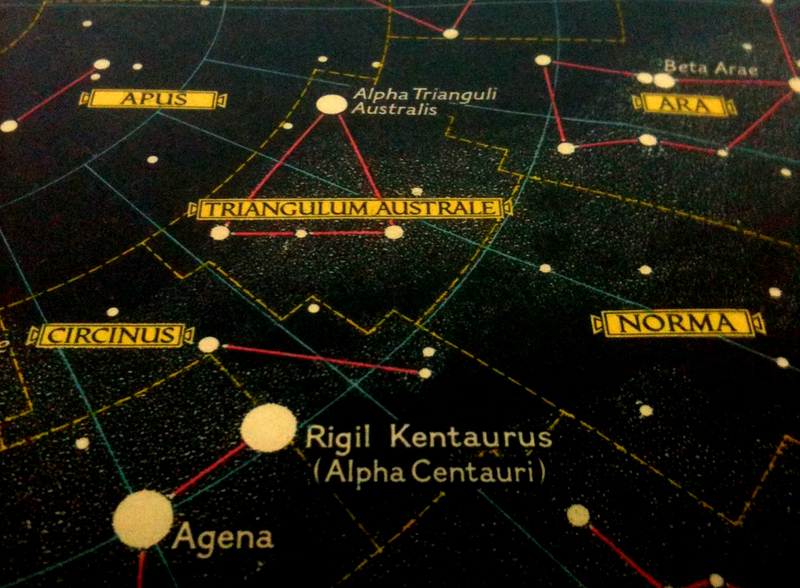 The third brightest star in the sky is Rigil Kentaurus, otherwise known as Alpha Centauri, which literally means foot of the centaur. But our THIRD STAR… is also sometimes known as Proxima Centauri. Why? Because it’s the closest to us. Yes. At a mere 4.3 light years… (not the brightest star – not the second brightest – but the third brightest star)… the THIRD STAR is the closest. Take a look tonight. Raise a glass even, as many a traveller has since before we knew quite how we all hung together in this big bright universe. Good on you Alpha Centauri.